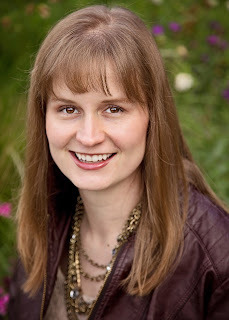 Two Chicks On Books: Cover Reveal- DAMAGED GOODS by Jennifer Bardsley Chapter 1 Reveal & A Giveaway! Cover Reveal- DAMAGED GOODS by Jennifer Bardsley Chapter 1 Reveal & A Giveaway! Do you have a friend who has such a messed-up home life that you wonder if they will ever grow up to be normal? 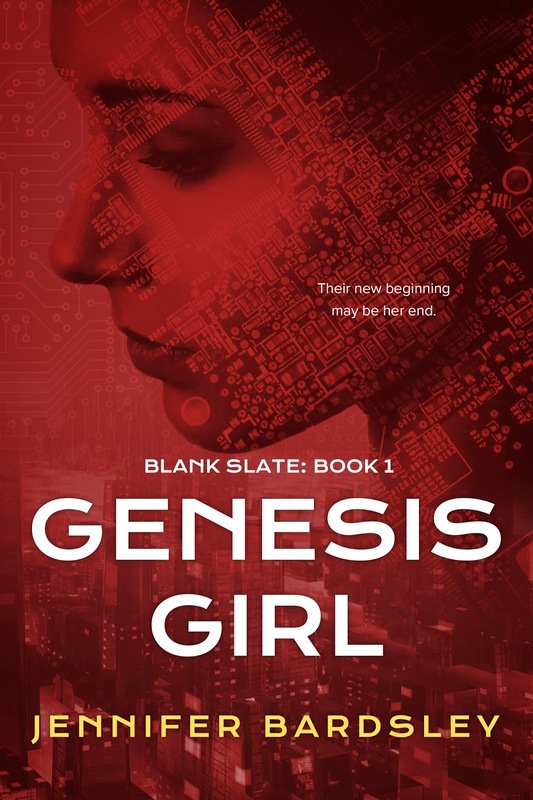 That’s how I feel about Blanca, the main character from my series “Blank Slate.” In “Genesis Girl,” readers found out why Blanca’s childhood was so different. 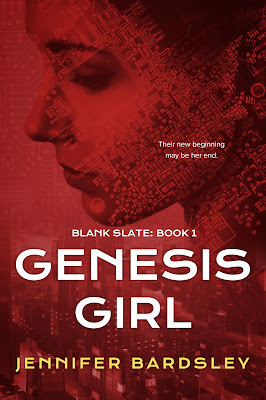 Blanca was a Vestal who grew up at Tabula Rasa School, shielded from the Internet and brainwashed into doing whatever she was told. 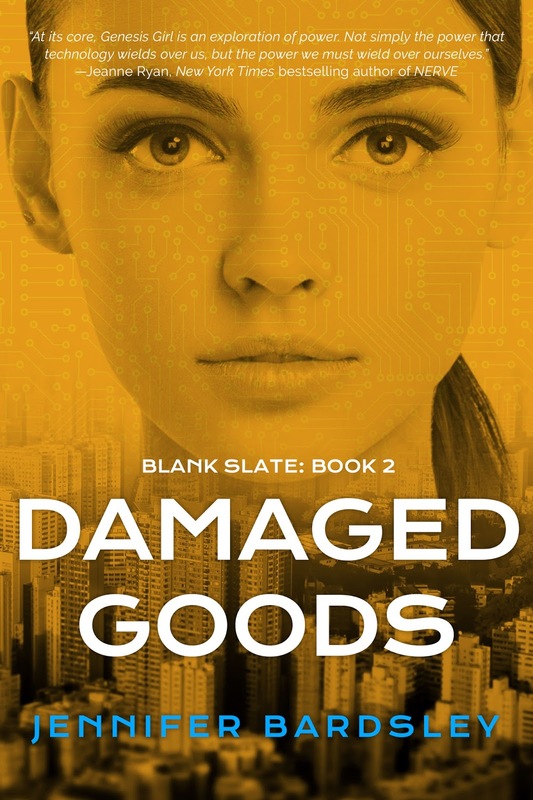 In the sequel, “Damaged Goods,” we find out what happens to Blanca once she escapes from her Vestal bonds. Blanca doesn’t wear her platinum cuff anymore, but does that mean she is free? All I smell is leather. Seth’s arms are around my back, his hands tangled in my long brown hair. My lips devour his, hungry for contact. Beyond us a seagull cries and soars above the waves of Santa Cruz beach. Both books look amazing. Thanks for the post and the giveaway!